I think it's an excellent cryptocurrency exchanger, it's very easy to use, and it also has a lot of cryptocurrencies, from the most common ones like BTC, ETH, to the newest and least common. It is easy to exchange from one currency to another, and the commissions are not that high. In addition to having two-step authentication, very useful to improve security. I also like the high level of volume handled by the platform, this allows an exchange not to stay frozen, but to flow quickly. I do not like that sometimes the platform is frozen or late to respond, also support and customer service is a bit complicated, it is not very fast or efficient. Certain processing of withdrawals can take a long time, that makes a client desperate to receive their funds. I solve simple cryptocurrency exchange problems, in addition to the fact that the platform allows simple market analysis and its API allows linking it to other third party applications, such as those generated in the company. "Excellent cryptocurrency exchanger, very safe and reliable"
Currently with the rise of virtual currencies and especially Bitcoin have arisen any number of platforms for the exchange of currencies of this nature. I trust in HitBtc since it offers me first a friendly experience with sufficient and configurable indicators to carry out the studies that I consider and thus determine the position I want. It has the largest number of currency pairs available which allows me to expand the opportunities. Account also with the well-known protocols of security, authentication and a long existence in the moderately short life of this type of market. What I honestly do not like about HitBtc in its response time for consultations, support or contact with the client. In truth they take a long time to meet any type of requirement regardless of their nature. I can tell you that it is a secure, stable and transparent platform. As all have their commissions per operation. The success of the positions as always will depend on the criteria of each person, but I can say that it has absolutely all the necessary indicators to analyze trends. There are few trading platforms with digital currencies that have been operating without problems for more than 5 years. I think those are enough reasons to have pesos as an excellent option in this new world. In the current era, participating in the digital coin market represents being connected to the future of the economy and on a par with global trends. HitBtc resolves access to the digital market, making it possible to carry out operations safely and transparently within a solid and stable platform. It allows to diversify the operations and make the investments in the pairs of digital currency that is considered convenient. It has a wide range of crypto with crypto2crypto trading . The customer service is helpful . The best to worst coins are there for trading and as far as I had experience I never had any problem in depositing or while withdrawing . One more good feature is trading with credit card . You can create your wallet where you can save many crypto whether they are or not in hitbtc . When it comes to security it provides an additional feature known as whitelisting which helps the user to have a large balance as he knows that nothing can be withdrawn until that particular IP is there . The system health is useful but it is bit irritating for frequent traders who withdraw or deposit a lot . The site has a lag and deposits take time . Guys trade in it without any hassle. I am able to trade in many crypto using one platform. Firstly, I couldn't even name a tenth of the different coins HitBTC supports. Odds are, if you can name a currency (or a customer wants to pay in a currency) they probably support it. This means you can effectively accept any currency to your electronic wallet and then exchange it right there and then for bitcoin and add it to the reserves or sell it elsewhere. This was the main 'selling' point for me. The fees are 0.1% to trade (very low compared to others), the deposit fee is 0.0006 BTC which is a touch steep, but that is evened out by the withdrawal fee costing no more than the miners fee. HitBTC also offers you your forked coins, so you don't miss out on free money in effect, which many other exchanges are guilty of taking. Leaving coins in an exchange is bad practice, but with HitBTC I don't worry as they have a track record of not making mistakes, and are in no position to be exiting the market any time soon. HitBTC's interface is a little clunky and the page is subject to some latency when trading times are at peak. This is to be expected, though, and it has not resulted in me missing a trade or not being able to access my coins yet, even through the late 2017 peaks, so it's safe to say it's fine. It probably has lower fees than you currently pay, check them out. Exchanging cryptos is a hassle, an expensive hassle, this makes it very easy and very cheap if you play your cards right. "HitBTC is a cryptocurrency exchange for those that only care about a chat room." The bright spot for HitBTC is that it is the only major exchange that has what is called a "trollbox" which is essentially a chat room. It makes things a little interesting when you are looking at a coin and then there are people chatting about it, so that is pretty cool. The whole interface of the platform looks extremely unappealing and shady. If there was an exchange that looked like there would be any sort of illegal or shady activity, it is definitely this. Not to mention the verification process is extremely tedious, withdrawals take ages to complete, and there is not even a mobile app for on the go trading. If you are looking for a place where trolls can thrive in the crypto space, it's here, just don't get your hopes up for any quality crypto trading on this platform though. 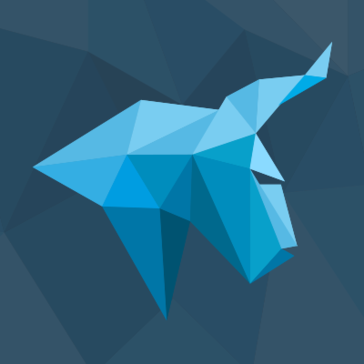 HitBTC just allows for a chat room that can give decent discussion when looking at trades. "Good exchange to negotiate cryptomonedas"
HitBTC is a page that allows the exchange and trade of cryptocurrencies. It has an attractive and very elegant design, with night and day visualization. It presents good options for depositing and withdrawing funds (only in cryptomoney). I like the ease of navigating their tabs and being able to visualize the indicators of the daily market. This page offers excellent security with two-factor authentication, white list for trusted IP addresses and a system for weighting operators. Transaction fees are low and the page applies a very useful rewards model for merchants who add liquidity to HitBTC. HitBTC offers great support, they have an excellent team that works 24/7 and gives the precise answers to our questions. I would like to be able to deposit funds in traditional currencies and that can be transferred to my account in Bitcoins. Of rest I have no more negative opinions of HitBTC. If you need a reliable, secure exchange, with many users and years in the market trust in HitBTC. It is the best option for a secure electronic commerce, only if you need to trade with cryptos. Thanks to the fact that your commissions are low you can count the necessary profitability. I recommend it for any user who wants to invest in this new market. With HitBTC we can follow the cryptocurrency market and make the best decisions for our investments. Having funds in bitcoin allows us flexibility when purchasing equipment abroad and avoiding economic problems. With this exchange I can also have the wallet directly with them and have my funds secure. "Excellence Exchange that handles a lot of volume in Criptoactives, easy to use and with a very good "
What I like most about the HITBTC exchange is the Volume that it has in Bitcoin and that almost all the currencies that enter this exchange are coins that manage to capitalize quickly. "Hitbtc is a big hit"
Hitbtc is one of the top exchanges as far as volume. They have a very user friendly user experience. If your coin gets listed here you can expect it to experience a high level of volume. Sometimes there is unexpected downtime where certain markets are unavailable. Others have complained publicly about their accounts being locked/frozen with no warning or support. Hitbtc is a great place to trade because of how much volume they attract and a friendly user experience. Hitbtc brings a massive amount of volume and liquidity. They are user friendly and don't require too much personal info. "Trading made easy and straightforward even for Beginners like me"
have a good pc to go ahead with the console. in web can be glitchy is your pc does not perform well. It can be resource demanding but when if fully loaded it really goes great. Configure 2FFA for better and improved security. You will always receive a notification in your email when loging in a new computer. Mining in alternative miners with cheap or legacy equipment or computer as experiment to get some coins, BCN, XMR, XDN. Using Hitbtc to exchange them to BTC. It has been easy to use. The alternatives to receive multiple currencies in the same place is great. The coins will be there, you can play around exchanging with others coins. It has been a platform for a beginner like me to start with the trading environment. "Good customer service and generally a good platform"
Cosmo Coin (COSM) is now available on KuCoin. HitBTC has a huge amount of daily volume which significantly helps projects increase in value once they are listed there. The UX is very simple and easy to understand. There have been several public complaints on social media about accounts being frozen or locked and users unable to access their accounts/funds. Because of social media posts I am hesitant to leave funds on this exchange. There have been complaints about accounts being locked and tickets ignored. High volume which significantly helps liquidity. "HitBTC - No Discernable Advantages"
HitBTC does provide everything is promises: feature-rich, security, and speed. It has a nice dashboard as well. There is nothing I particularly don't like about HitBTC, but I switched to it from Gemini and I just found the overall interface and customer experience of the Gemini Exchange superior to HitBTC. Needless to say, I switched back shortly thereafter. Look into Gemini and Coinbase first - these crypto trading platforms have stronger reputations and a larger userbase (to my knowledge). I wanted an exchange to buy Bitcoin so that I could transfer it to my digital wallet to pay clients who accepted crypto. HitBTC allowed me to do so in a relatively smooth manner. "Simple and Secure Crypto Trading"
The best thing about HitBTC is their low trading fees. It's only 0.1% on market trades and 0.01% rebate on LP orders. I have heard reports of people not being able to make withdrawals when requested. Missing some features. A place to trade cryptocurrency. "One of the best platform for trading crypto currencies "
Very advance bitcoin exchange. Can buy or sell any crypto currency. The volume is high than other exchanges. There are not any major cons. It can take some time to get use to this exchange. Can earn money from home with trading in crypto currency. "HitBTC presells coins during ICOs, stay away"
The pump and dumps, and chat, are entertaining. HitBTC sells placeholders for coins that are not yet available to trade/mine, allowing predatory pump and dump on imaginary currencies. Stay away from HitBTC. Wallet delays and pre ICO sales. They also keep fractional amounts of currencies upon transfers for no good reason. HitBTC does not solve any business needs. There have been reports by some users of accounts being disabled without warning, which is a worry but for me everything has been fine. "As a newbie, great user experience"
* We monitor all HitBTC reviews to prevent fraudulent reviews and keep review quality high. We do not post reviews by company employees or direct competitors. Validated reviews require the user to submit a screenshot of the product containing their user ID, in order to verify a user is an actual user of the product. Hi there! Are you looking to implement a solution like HitBTC?